Pair two 25 inch vanities to create a simple, striking double vanity without having to share counter space. 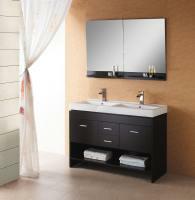 Each floating vanity features a single cabinet and ceramic sink. Whether you use these in a master bath or family bathroom, dividing spaces may result in reduced battles over territory. 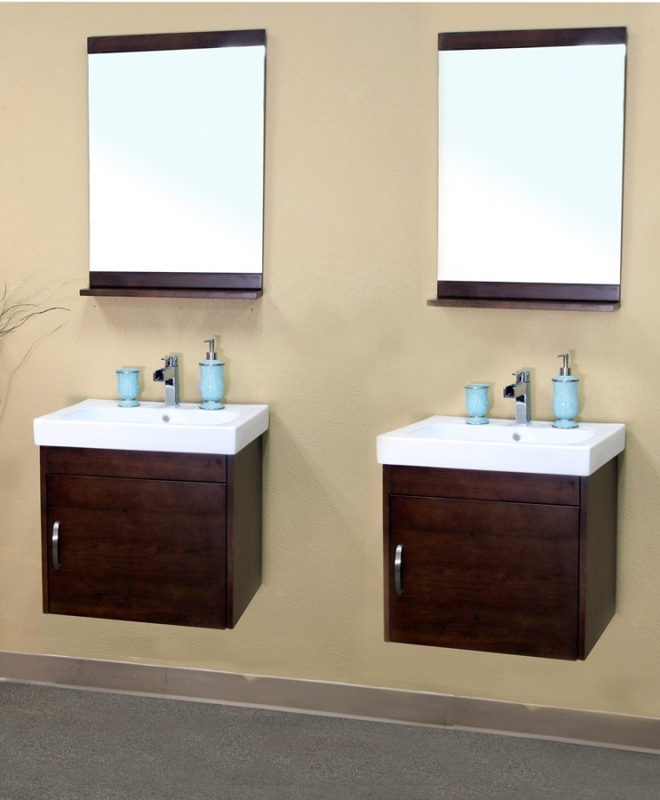 Mirrors available for purchase 22"W X 2"D X 31.5"H.
Additional Sizes: Also available in 25 Inch Single Sink Bath Vanity, 49 Inch Double Sink Bath Vanity.